Landfill fires occur fairly commonly within landfills throughout the world, and to this day much burning of waste on landfills takes place in many developing nations. We classify landfill fires into two types; intentional and unintentional. Burning of municipal waste in the open is not recommended under any circumstances, although in some rural and isolated districts in the United Kingdom, the practice continued until the mid-1980s. The practice is also known to have been practiced by the author in rural France as recently as ten years ago in the mid 1990s, where a rural household waste site was found where the operator systematically set fire to the piles of rubbish on a daily basis. Such burning would reduce waste volume, however, the atmospheric pollution produced by such practices if indefensible on all but the very most low population areas, poorest economies and plastics free wastes. 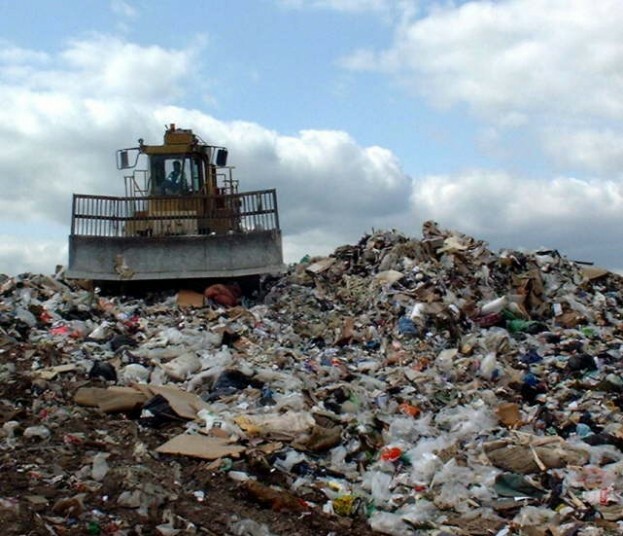 Waste burning in the open, and especially on landfills has been subject to a total ban on all European landfills since the Landfill Directive was first implemented in the 1990s. Furthermore, a no smoking ban has existed for many years on all EU landfills. Over the last few years anecdotal evidence suggests that there has been an increase in landfill fire occurrences in the UK. It would seem likely that increasing emphasis on landfill gas generation and more highly optimized gas extraction may be leading to increased landfill fire incidences, due to the tendency for air to be pulled into the waste by the suction applied. Ingress of air may cause hot spot locations which then become fires. The public should not be alarmed that these fires have occurred. The fires may be costly to the operator of a landfill, and although the fire may be quite difficult at times to extinguish, and can continue to burn for quite long periods, they are always very limited in extent within a modern landfill, and are not uncontrollable. Landfill fire prevention by adoption of good operational practice and techniques. Landfill fire control and mitigation strategies are available in the event of a fire developing, and remediation techniques are available for landfills, following a landfill fire. Landfill fires occur daily somewhere around the world—over 8,000 of them a year—and are fairly common in the U.S. Surface fires are usually extinguished fast, often because of structured fire response plans, good communication and solid partnerships with emergency responders. An effective fire response plan can include an incident command structure, which needs a number of focused groups. Stakeholders commonly involved include landfill owners, local fire departments and contractors, depending on capacity, experience and availability, says Tony Sperling, president of Landfill Fire Control in Vancouver, B.C. 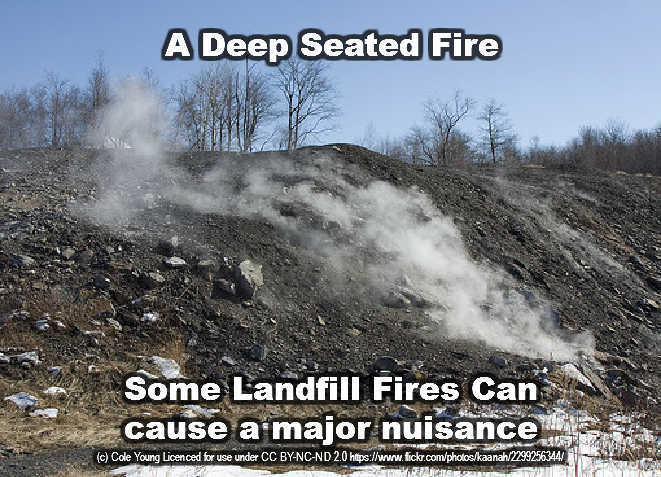 Landfill fires fall into one of two categories, surface and underground fires. Depending on the type of landfill and type of fire, landfill fires can pose unique challenges to the landfill/waste management industry and the fire service. This section addresses the particular challenges and the specific types of fires found in landfill sites and describes their characteristics and causes. Quelling a landfill fire is not that simple, firefighters found at the The Delta Shake and Shingle Landfill, near Vancouver. Complicating their efforts was the presence of a high-pressure natural gas main that provided heating fuel for nearly half-a-million customers in Vancouver, as well as a large-volume sewer force-main, a water supply main, a high-voltage transmission line and a railway line. All of these utilities were located adjacent to the landfill in unstable peats, and were potentially threatened by slope failure or excessive settlement. 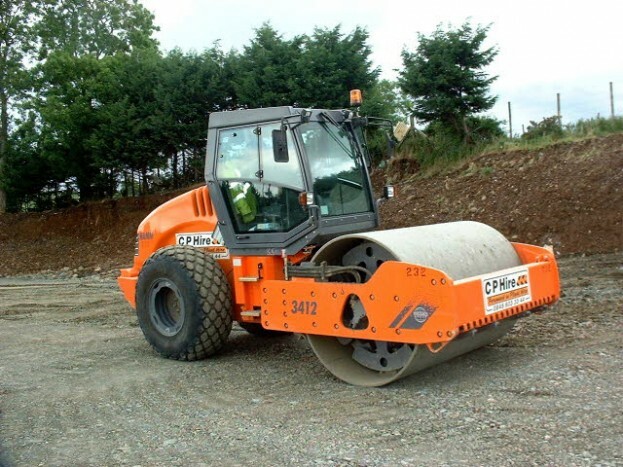 Additionally, careful attention had to be paid to the geotechnical design and monitoring of the areas on top of and adjacent to the landfill to avoid stressing or displacing the nearby gas pipeline. Do you need advice on a landfill problem? Contact IPPTS Associates via our Contact Us page.